In 1997, the young businessman Alexey Nechaev founded the “Russian Line” company – the first Direct Sales Company in Russia. During that time, he drew attention to a unique development made by Russian scientists, perfluorocarbon emulsions, which allow oxygen to be trapped and then delivered deep into skin layers, improving regeneration. He patented this new technology, and the first Russian Oxygen Cosmetics appeared in 1998. The story of success begins. In 2001, the “Russian Line” company was rebranded as Faberlic. The company focused its aims on the international community, with the goal of making quality cosmetics available to millions of people, and to give ambitious individuals the opportunity to build their own business in Direct Sales. Within 5 years of the Faberlic brand debut, the company attracted more than 5 million delighted customers from Russia and all over the world who trust in the quality of Faberlic products and the advice of Faberlic Representatives. By 2005, Faberlic had already gained a sizeable footing in the international community. The company already had offices in 15 countries, with more than 400,000 Representatives worldwide. Faberlic earned the 87th place in WWD Beauty Report International’s Top 100 Cosmetic Companies. In 2007, Faberlic celebrated its 10th anniversary. At this time, the new Oxygen complex formula, Double Respiration, was discovered while working in cooperation with the Japanese laboratory Nikko-Chemical, a world-famous manufacturer of innovative cosmetic ingredients. Microcirculation processes could now be controlled within the skin. In 2008, Faberlic specialists, in collaboration with the Cell Biology and Histology Department at Moscow State University, discovered a new anti-aging tool – a unique Rala formula (natural R-Alphalipoic acid) that was introduced in the Rala line of anti-aging cosmetics. Faberlic obtained 2 new patents to use Rala in cosmetics. Within 1 year, more than 60 new products were released. The company already climbed to the 86th spot on WWD Beauty Report International’s Top 100 Cosmetic Companies. 2011 and 2012 are years marked by associations. During this time, Edelstar, Infinum and Sengara joined with Faberlic to provide health and beauty products for all. Each brand had extensive experience working with customers toward the development of new products. Faberlic later used this experience to create new product lines and categories. The Faberlic catalogue greatly expanded, becoming universal. Now every Representative has access to everything necessary for beauty, health and the home. In 2013, Faberlic stepped into the fashion market, launching the production and sale of children's clothing. Faberlic released clothing collections created by Italian fashion designer Germana Trovato, who previously worked with such brands as Ralph Lauren, Max Mara, Kiko, etc. Faberlic is continuing the same strategy in fashion as used in the perfumery and cosmetic sectors: using technology to create and develop their own products in order to make high quality goods, while maintaining a policy of low prices. 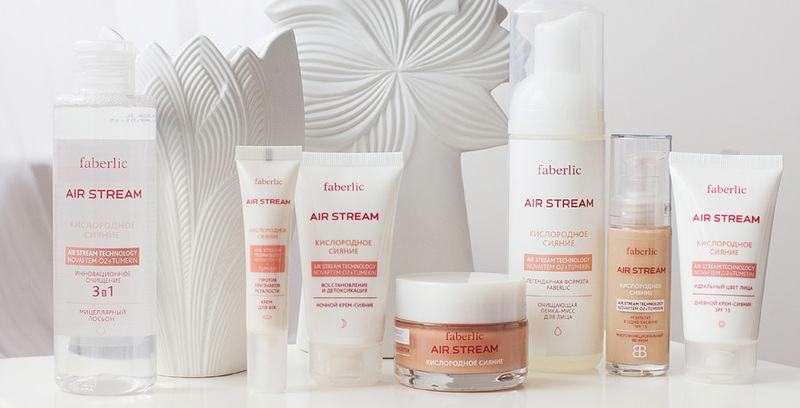 In 2015, Faberlic released a new generation of oxygen cosmetics – "Air Stream", the revolutionary design from the Faberlic laboratory. Turmerone and curcumin form the basis of the complex – this was the first time the cosmetic composition was used together while still retaining the benefits of the individual ingredients. Experts also enriched the Novaftem O2 formula, making it even more effective. In the same year, the Faberlic catalogue received its first women’s clothing collection. Attractive prices, quality tailoring and active promotions lead to a sales growth of 50% and a unique case in the history of marketing: sales were going at a speed of one dress per second! In 2016, the brand chose a new development strategy, becoming a pioneer in the fashion industry – the concept of fast fashion. Already proving successful for retailers, this was the first time it was applied to sales through catalogues and e-businesses. Now buyers are eagerly waiting for new “Total Look” offerings in each catalogue – capsule collections of adult and children's clothing, limited editions fragrances, lingerie and cosmetics, showing the trends of the season. The sales rate during the first half grew by 60%! Faberlic continued to make high fashion closer and more accessible. The autumn of 2016 was marked by a historic collaboration between Faberlic and Russian designer Alena Akhmadullina. The designer’s creations were presented at the largest fashion event of the year – The Mercedes-Benz Fashion Week in Moscow - and made a splash! That same year, Faberlic merged with the premium brand Florange – the market leader in the direct sale of women's and men's underwear, jewelry and designer accessories, as well as with the "DENAS MS" brand – a manufacturer of unique medical devices. For 18 years, DENAS therapy methods received official recognition at the Federal level in the healthcare and social development spheres in Russia. Based on this method, 29 doctoral and master's theses were defended, over 1000 scientific papers were written, including 5 monographs and more than 20 method recommendations for doctors. Faberlic today has more than 1000 products, 30 patents, 700,000 Representatives and more than 5,000,000 consumers all over the world, with Faberlic business operations taking place in 24 countries. The main trend of Faberlic for the next 10 years is to turn the Cosmetics Company into a «Modus Vivendi Company». Faberlic is entering new markets and creating new product categories - crockery, children’s clothing, hosiery, lingerie, household and wellness products. In the future Faberlic, will merge with new companies that will make our business more promising and our products more diverse!